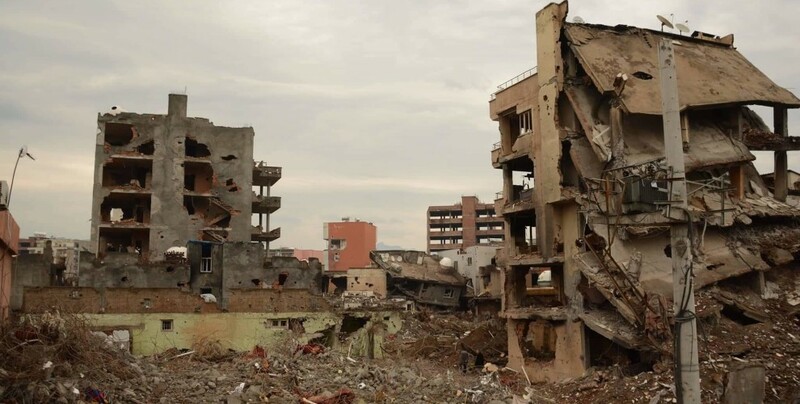 The European Court of Human Rights (ECHR) has issued a verdict in the admissibility hearing of the case regarding the massacre of 137 people in basements in Sirnak’s Cizre district in 2015 and 2016. The court ruled that the case was “inadmissible”. The appeal had previously been submitted by Mehmet Tunc for his brother Orhan Tunc. It was renewed by lawyers after both brothers were killed in February 2016. Ahmet Tunc, the father, Guler Yerbasan and Zeynep Tunc continued the demand for justice through separate appeals. 137 people trapped in the basement of a building in Cizre had been brutally murdered on February 7, 2016 as the curfew declared on December 14, 2015 continued. United Nations High Commissioner for Human Rights had called the atrocities in the district “a scene like apocalypse”, and several human rights organizations had pointed out that these attacks targeting civilians could constitute war crimes. A decision by the Parliamentary Assembly of the Council of Europe (PACE) stated that the curfews affected at least 1.6 million people and at least 355.000 people had been forced to migrate. The ECHR ruling pointed out that there are currently 36 ongoing cases against human rights violations arising from the curfews. Applicants pointed out that the European Convention on Human Rights Article 2, the protection of the right to life, has been violated for Orhan Tunc and no independent investigation was launched about his death. The applicants argued that in this regard, due to lack of effective investigation, Article 13 had been violated. Violations of Article 3 due to torture and inhumane treatment, Article 8 due to privacy and articles on physical integrity and the right for individual appeal were also listed in the appeal, which stressed that the curfews themselves were in violation of the ECHR. The court ruling stated that domestic measures hadn't been exhausted and argued that individual appeal to the Constitutional Court was still possible, unanimously voting to reject the appeal.